Some days aren't that exciting. They are tedious, monotonous, um, boring. They can't all be cutesy, anecdote-filled love fests. I just sat down to tell my husband, Tim, about my day and he fell asleep. Yes, my day (or my description) was that f#&*ing boring. But when I sat down to write about how boring my day was this picture popped up. This isn't a boring face. 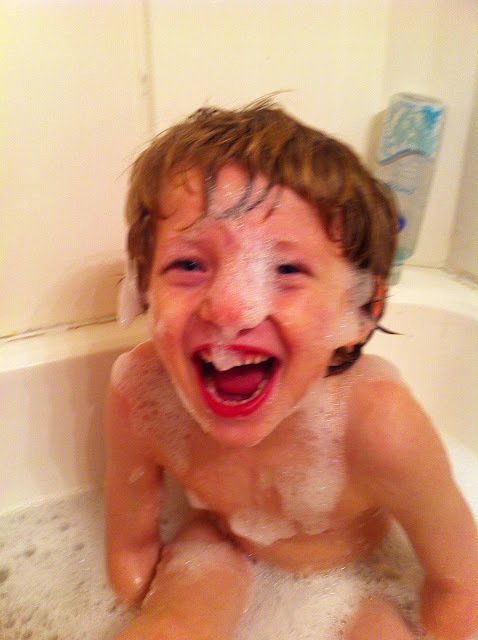 This is a oh-my-god-I-love-bubbles-and-bathtime-and-life-and-this-is-so-amazing face. 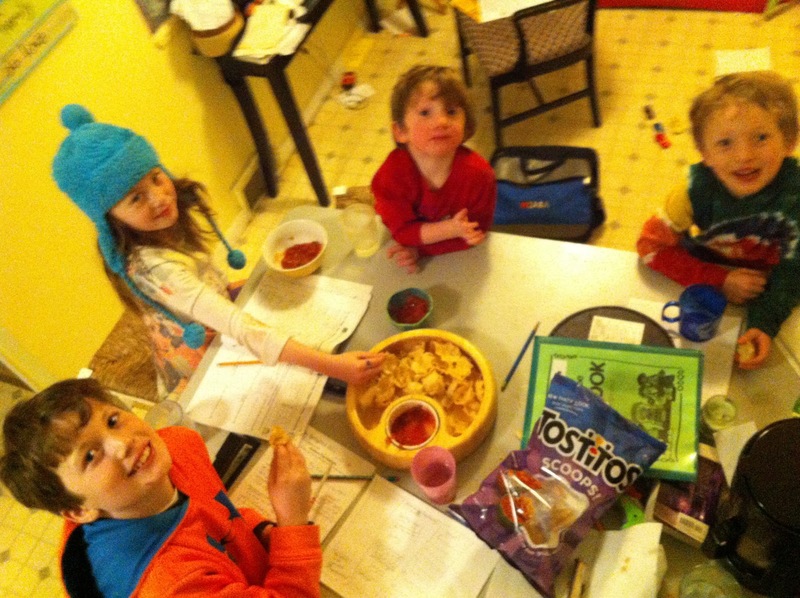 This isn't a boring group doing homework. This is a homework party with chips and dip and everyone hanging and learning and laughing and loving being together. This isn't a boring afternoon with a toddler. 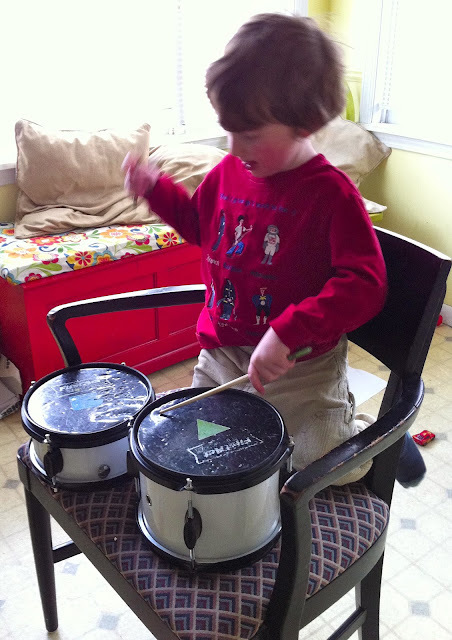 This is front row seats to a hard-drumming, music-loving, life-embracing, determined 3-year-old. Oh hell, this post just turned into a cutesy, anecdote-filled love fest. It's just too good not to be. It's midnight and as I reflect back on my not-so-boring day, I'm doing my own kitchen dance. My kids are sleeping, my husband is sleeping and I am dancing to bluesy Alabama Shakes songs. If you could see my face, it's so not a boring face. It's a god-damn-I'm-so-lucky-and-happy-and-tired-and-blessed face. Life is good and so not boring. Listen to this song and dance while you think about all the non-boring, simple yet amazing moments of your day. I challenge you, do it, come on, just do it. It's impossible to be bored with four fabulous children. Never a dull moment, ever.